Ride hailing apps across the country appear to be competing to see who can engage in the most detestable corporate behavior. Juno, a ride sharing company branded as a “socially responsible way to ride” on its website, arose out of various complaints from Uber and Lyft drivers for unfair pay and mistreatment. The New York-based company offered an alternative to Lyft and Uber drivers by treating them as partners of the company and taking less commissions from driver earnings. A group of drivers for Juno claim the company deceived drivers and offered false promises. The drivers filed a complaint to the southern district court of New York on June 9 alleging Juno promised them equity stakes for each month they worked 120 hours. The company even went so far as to promise that the equity would be treated the same in terms of dilution and distribution rights in the event Juno ever went public. However, once the company sold itself to Gett, another ride-share app also founded on treating drivers better, for $200 million in April, Juno told its drivers that the program of granting equity shares was terminated and existing shares were either extinguished for no value or extinguished in exchange for a fraction of what they were promised initially. Defendant Talman Marco was riding high, having now sold a second tech company he founded for hundreds of millions, the prior company he founded, Viber having been sold for in excess of $700 million. … The drivers were not riding high. They were still driving for Juno. But they had nothing to show for Juno’s success. To be sure, almost all had acquired shares in the company. Many had opted to to accept $100 in shares of Juno instead of $100 cash as a sign-up bonus when being a top-rated driver who switches from Uber or Lyft to Juno. But those shares turned out to be worthless. Juno was unavailable for comment, and parent Vulcan Cars LLC and Gett did not respond to multiple requests for comment. 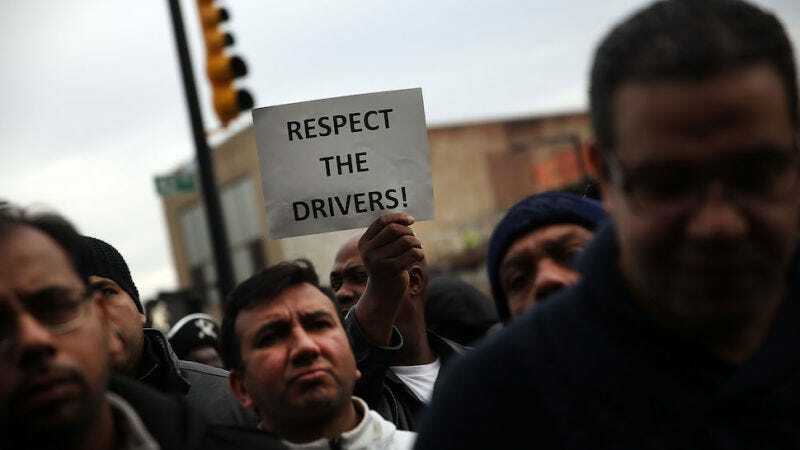 The drivers’ allegations may disappoint Juno’s customers, who used the app as an alternative to Lyft and Uber assuming they’d be investing in a company that doesn’t collude to sue a city for allowing on-demand workers to unionize or cut services to an entire city over increased regulation. Instead, Juno users are hit with the harsh reality—a good-hearted, honest ride-hailing app void of all corporate misdeeds just doesn’t exist yet.